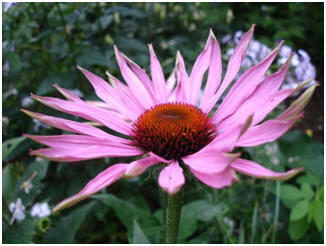 Hello and welcome to my website about Echinacea purp urea, more commonly known as the Purple Coneflower. Here you will find an abundance of information on the Purple Coneflower, the very plant that is used in some medicinal teas and other remedies. 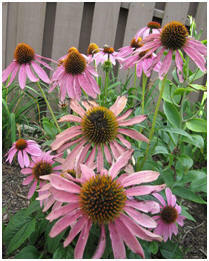 Feel free to explore this site and learn more about the Purple Coneflower. I hope you enjoy all of the pictures and information displayed throughout this site. If you have any questions, please contact me by visiting the Contact Me section of this website. If you are interested in learning about more organisms, visit multipleorganisms.net. There you will find other websites that my classmates at the University of Wisconsin- La Crosse have constructed. Now on to learning more about the Purple Coneflower. Click to read about classification.